Today, I'm featured on Black Fashion Bloggers be sure to check it out! 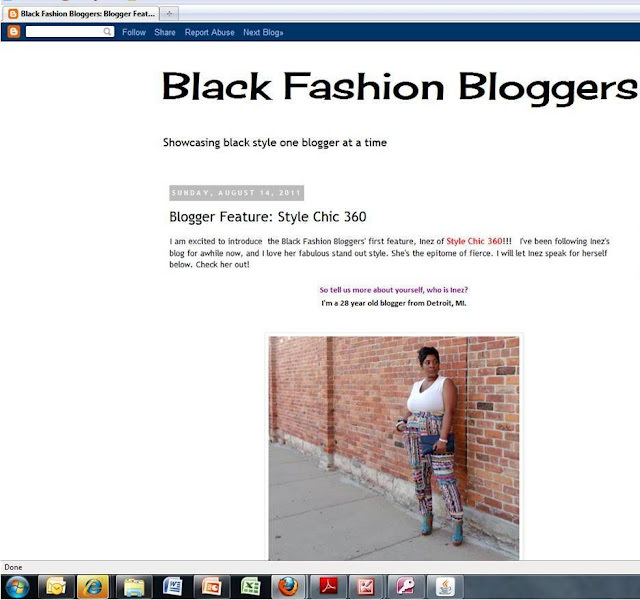 Black Fashion Bloggers is a new blog created by Nika of Irie Chic, to celebrate Black Fashion Bloggers. Be sure to follow this new page she has created. It is sure to be a hit. I'm looking forward to seeing it progress! Thanks for considering me Nika!